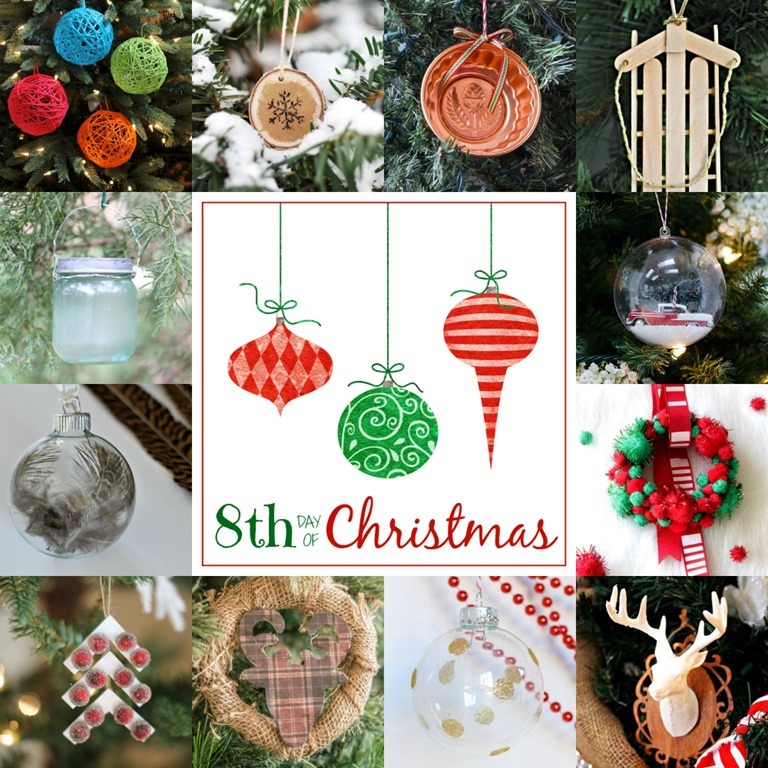 Welcome to day 8 of the 12 Days of Christmas Ornaments! 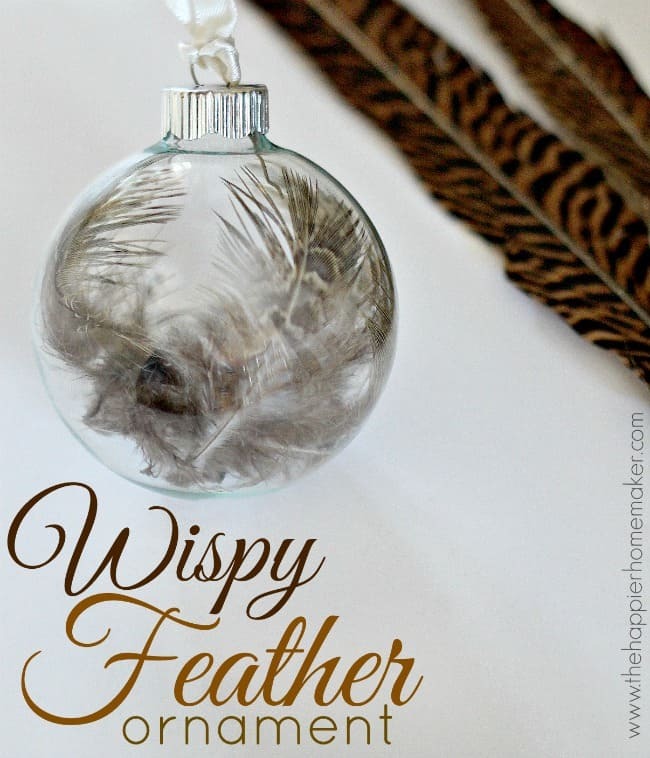 I have to tell you that today’s Wispy Feather Ornament is one of my favorites although admittedly the most difficult ornament I’ve ever had to photograph! 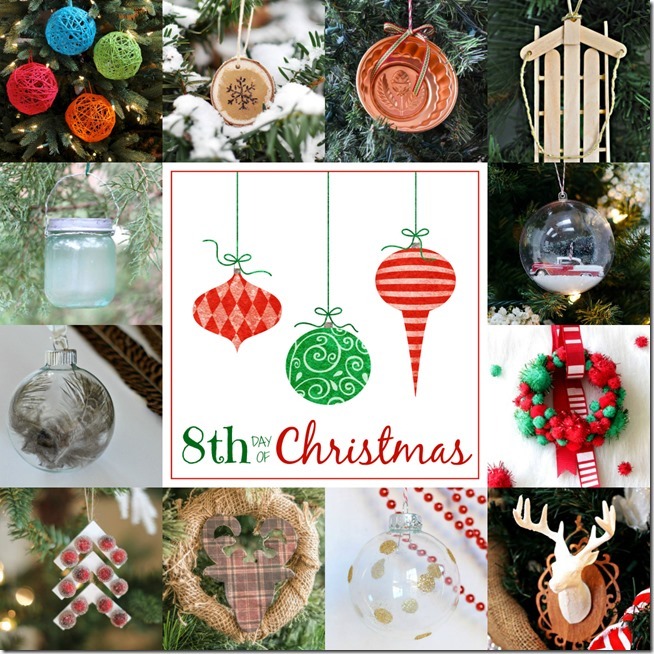 Before we get into the how-to though, I have to point out that we’re up to 96 awesome DIY ornament ideas so far! Wow! 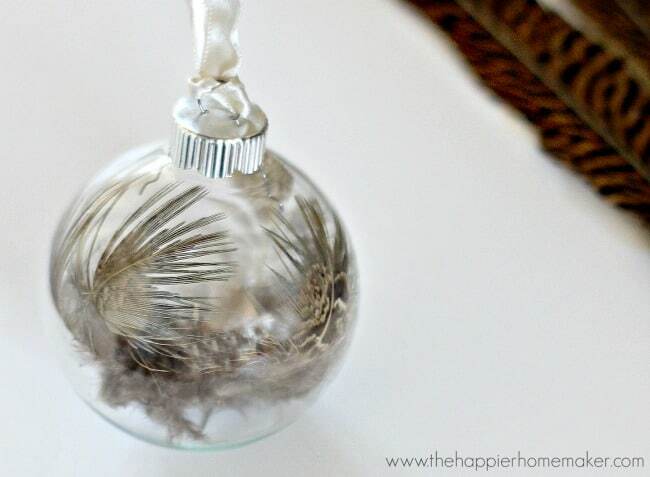 I’ve been slightly obsessed with pheasant feathers this year so I had to incorporate them into at least one of my DIY ornament ideas. I started with one of the feather picks I used in my Wheat and Pheasant Feather Wreath from earlier in the fall. The bottom of the pick had some small wispy feathers that I knew would look beautiful in a glass ornament. I carefully removed them from the pick and inserted them into the ornament. I used the end of the pick to gently coax them where I wanted them. This ornament is so much prettier in person that the pictures-I just had such a hard time getting the photos to do it justice! 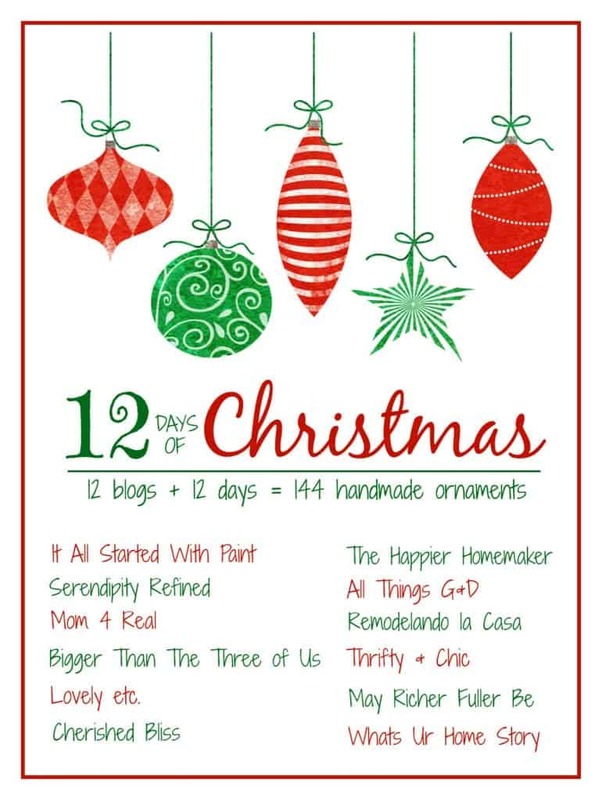 Now hop around and check out the rest of today’s 11 ideas! We still have four days to go! Wow! Beautiful ornament! I’ve got some gorgeous quail feathers that I’ve been dying to make into a decoration for a tree. This would be a great way to do it! So pretty! I think you did a great job photographing it (though I agree – glass is really hard to photograph well!). I seriously adore those feathers. I’m going to do this one for sure. It will match my feather ball and wreath from the other day. Thanks so much for the inspiration. Pinning! I think you did an amazing job of photographing it! In fact, I spent a few minutes on the first photograph trying to figure out how you got that beautiful shot (the mind of a fellow blogger!). And I love the ornament too!!! I did it! Just made some of these with quail feathers, (from my husband’s hunts). Best idea ever! Thank you so much!